Pàge saw by indagative visitors. Michel Nostradamus was born in Saint-Rémy , in December of 1503, almost at noon. He was the son of notary Jacques o Jaume De Nostredame and of his wife Renée de Saint-Rèmy. 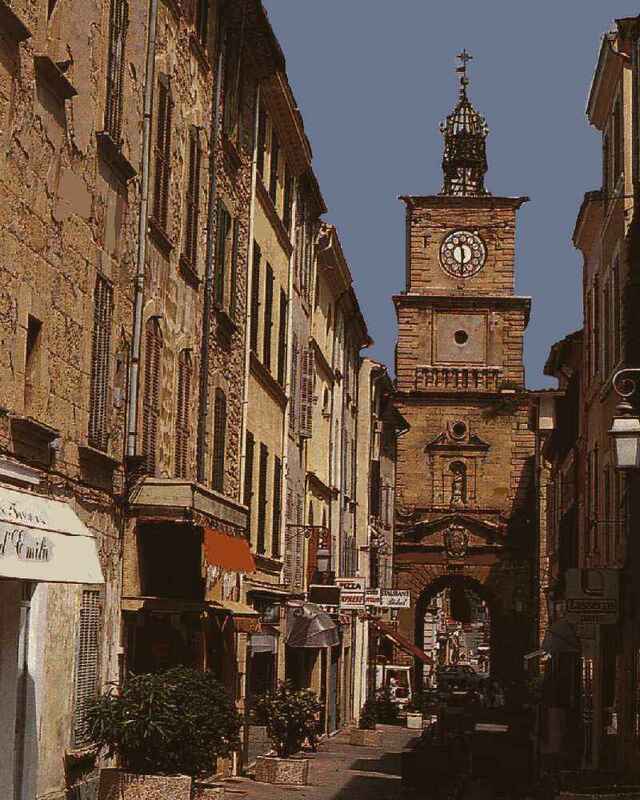 This is a small town in Provence (southern France), located at 1O miles from the gaul-roman town of Arles (with roman ruines as an arch of Consul Marius arch and Saint Paul mausoleum). 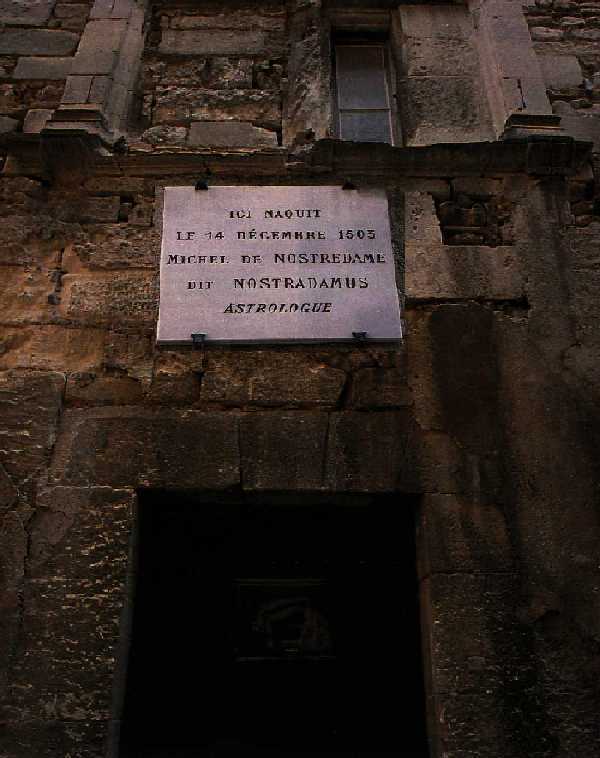 Saint-Rèmy was built near the ruins of Glanum , famous holy place for gauls, and in the 1921 excavations were found ellenistic, greek and roman remains. The city is located by the middle of "Provence's sacred triangle", that has as it's vertex Arles, Avignon and Salon (web-site) , where the Prophet will marry and live since 1547 and die in 1566 , plenty of fame and glory. It was almost 11 years from Colombus' discovery of "Western Indias", and in Rome had suddendly died Pope Alexander (Rodrigo Borgia) , (Catholic Encyclopedia) . This Pope maybe died because he ingested by error a poison that was destinated to an unknown cardinal. and he signed with Spain's King Ferdinando II a teatry for the division of Naples' kingdom, teatry that they soon broke, and resolved with war, in the battle of Seminara and in Barletta's defy (disfida di Barletta). That was the shining era of Renaissance , and great artist as Leonardo da Vinci , Raffaello Sanzio and Michelangelo Buonarroti were making their masterpieces. Nicolò Machiavelli wrote his treatise of politics "Il Principe". Christopher Columbus was makinghis fourth trip. Only in those years, Amerigo Vespucci , after discovery the of Rio de Janeiro's bay , realizes that it is an entire new continent and publishes this idea in his book "Mundus Novus" (1503). Martin LUTHER is studying in Erfurt's University, and his 99 thesis are still in his mind. Michel de Nostredame grandfather was Guy Gassonet, a merchant in Avignon town and the son of the cereal's merchant Arnoton De Velorgne. In June 14 of 1463 was declared null the marriage between Guy Gassonet and his wife Benastruga, daughter of Ricavus, because she refused to convert to chris- tian faith. Guy Gassonet converted and took his name from "Notre-Dame" parish, (Our Lady). He married a catholic woamn, Blanche De Sainte-Marie, that gave him 5 sons: JAUME o JACQUES (Father of Michel De Nostredame); Marguerite (M.N. aunt) that will get marry in Avignon and hosted young Nostradamus during the years of his high school. In 1481 Provence (formerly a territory of the Anjoux Archduke, who was very tollerant), was conquered by the French Crown, and soon they began to apply their ancient laws against Hebrews. That, in the case of a refusal to convert to christian religion and to pay bleeding taxes, were sentenced to the seizure of their belongings and to expulsion from the kingdom (1501 Edict by Louis XII). Jacques went to work as a notary in Saint-Rémy, and had to pay the "Tax over the Ancestry", as is clearly registered in a document with date 21/12/1512. Then he married with a woman from an hebrew family, Renée de Saint-Remy, (daughter of Reymier de Saint-Rémy and Beatrice Tourriel) and they had 3 sons: MICHEL, Jean and Bertrand. JEAN (1507-1577) became procurator in the parliament of Lion, and wrote: Vies des plus Cèlébres et Anciens Poétes Provencaux , BERTRAND became a public notary in Avignon and married Thonine de Roux. Michel de Nostre-Dame was born in Hoche street (now renamed Rue des Barri), in a simple building, and after 5 days his baptism was registered. His great-grandfather Jean de Saint-Rémy, royal medical doctor, gave as dowry to his nephew Renée (MICHEL's mother), the home and surrounding lands, vineyards and a brick's factory located in Orgon. Many biographers, kept the idea that great-grandfather Jean began to teach Michel, since his early years, to astronomical sciences, to very ancient concepts of sacred mathmatics and to the most hiden esoterical knowledge. Between those, certainly he taught Michel about the Qabbalistic Traditions of the Provence school. This knowledge began with Moise de Jean in 1309. Also astrology, that was a matter of universitary teaching, and did become a complimentary science to Medicine thanks to King Charles V of France (1338-1830) who took the french throne, in substitution of his father John II, (prisoner of English Crown) in 1356-1360, he founded in Paris an University that combined Medicine with Astrology, with a particular motto: "a phisician without astrology is like a blind eye" . In Avignon in 1520 he got the title of "Maitre des Arts", (something like high school diploma) and this gave him the right to teach letters and philosophy in the schools. brought from Italy by King Louis XII troops. He followed the advise taught by his great-grandfather, he suggested to bury corpses very deep, between layers of quicklime (Lime has a sterilizating action). He also advised to burn trash (food for rats and their infecting fleas). Also he asked to everybody to have a scrupolous cleaning of hands, to change clean dresses often, filtranting masks, etc. His potion of Garlic and Aloe that he recommended as ointment for massages and also for ingestion got an excellent reputation for defending from plague infection. (Actually, scientist have widely proven the excellent antibacteral action of Garlic (website) and the immunostimulating effect of Aloe). He got convinced to study Medicine. In 1529 he signed to the famous University of Montpellier , where he studied together with famous people like François Rabelais and Balthasar Noyer. Surely, as almost all his collegues, he praticed clandestine corpse dissections, something that was forbidden by the Law and the Church of those times (eccept with the dead bodies of criminals sentenced to death). In 1532 he got his degree and the right to dress the "Red Toga" , and began to practice as the assistant of an older doctor. He begans to call himself "Nostradamus"
After four days of examinations he got the degree. Was thirty years old, and following the fashion between the sages of those times, latinized his name, and from the simple Nostredame transformed in the character... NOSTRADAMUS ! For the title of Medical Doctor he made an examination over six patients, so he finally obtained in Saint-Firmin's church the golden ring, the squared hat and Hypocrates's book, and made the classical swear. Since then he will wear his family's emblem, with 4 sectors, in two is depicted a black headed eagle, and in the other two there is an eight rayed wheel, a remembrance of his origin, "of the wandering" of hebrews around the whole world. The shield is underlined by a coat of arms that has written his famous motto: SOLI DEO , maybe meaning "Only God", or... "Sun God" ! In the book by Cèsar Nostradamus (Michel's son) Histoire et chroniques de Provence is told that great-grandfather Pierre was a Royal Phisician (false: was a wheat merchant) and is said to be descendent from Israel's tribe of Issachar , and that his true name was Abraham Salomon. The friendship with comediographer Françoise Rabelais is certain, Nostradamus was surely a great friend and steemer of him. Less sure is the life of merry-making and the visits to dubious girlfriends, told in many books, and less of all, the marriages with two prostitutes, in sequence ! between drinks, parties and hedonism ! (Probable exceptions in great occasions). own friend Michel de Nostradame ! His friend Cèsar Scaliger. His first Wife and sons die of Plague. After his degree, Nostradamus did not had an easy life. He lacks a medical relative that could help him to make a decent practice and that maybe could introduce him to some clients. He also has to hide his hebrew steem, in order to get modesty jobs as a helper in small medical consults or chemists laboratories. In 1533 is in Avignon , then moves to Bordeaux (website) and Tolouse , where he had to survive selling beauty lotions and fruit jellies, that brought him some fair money. He went to to the town of Agen (website) , located in the departmant of Lot-Garonne, (100 miles north of Lourdes) after receiving a letter of invite sent by César SCALIGER , a stravagant man with sage's fame, very presumptuous, that had knowledge in many areas (but without enough deepening) and that claimed to speak correctly greek, italian (obviously, he was born there) latin, german, etc. He had a very strong will, and had 15 sons with his wife Audiette de Roques-Lobejac. Was an atheist to the extreme, made severe cryticism against the ideas of the Holandese Erasmus von Rotterdam and to the italian mathematician Girolamo Cardano . Scaliger was very exuberant, wants to take control of all, and took Nostradamus under his protective wing. He founds a wife for Nostradamus, and Michel marries for the first time in TOLOUSE (1533), with Madeleyne (?) and from their marriage were born two sons, that soon will die during the tragedy of PLAGUE. Scaliger soon understands the deep knowledge hold by Nostradamus in many esoterical arguments, and soon begins to have a growing envy. And Nostradamus also began to work in the workshop of an hugonote chemist, Victor Sarrazin, that when tortured by the Catholic Inquition, denounced Nostradamus as being more a nigromant than a medical doctor or an astrologuer, and that also was the owner of "forbidden books". wife Madeleyne alone in the town of Agen. He began the difficult life of the countryside medical doctor, having to rest in houses of merciful peasants (that paid him with hospitality, food and maybe some eggs for travels. He could manage to return to Agen, called by authorities because of the Plague epidemic. When Michel finally reached the town (1535), he could only watch the terrible death of his wife and two children, already infected by this bacteria (being most of all an hygienist, he could do very few thing to save his family). Travels of Nostradamus: Germany, Italy, Egypt ? Persia ? Overcome by the grief of the lost of family and the betrayal of his best friend, prosecuted by Inquisition, ruined in his career, Michel travels for 12 years across the world. He suspects of everybody, is in a complete paranoid condition that is loosened only by the immersion in the bitter-sweet condition of having nothing more to lose, of being completely free, from any duty and responsability. He is free to read anything he wants, he is free to prepare and taste any potion, there are not any wife of children to care about, he can go almost everywhere in the world, he is free from daily life, the only hunger that he has to satisfy is his own desire of more knowledge, of the deepest misteries. There is a tale, probably a legend, that tells that during one trip to Italy, near Ancona (Ghetto-city in Adriatic sea, for italian hebrews and harbor to the east) he crossed in his path with a group of humble franciscan friars, between those there was the young novice Felice Peretti , a former swine-herder, maybe the poorest in group. Nostradamus suddendly kneeled down in front of him, and made a reverence ! The friars remained startled and asked, why all this fervour towards a very simple brother that had entered the order only yesterday ? M.N. answered that it was quite normal that a good christian prostrate in front of his Holyness the Pope ! In effect, after a long and painstaking career, the swine-herder Felice, will became General Vicarium of the franciscan friars, Bishhop of Sant'Agata dei Goti, Cardinal in 1570 , and finally he will be elected to the Pontifex Solium, becaming Pope with the name SIXTUS V (Pope from 1585 to 1590, more than 19 years after M.N. death). Is IT lost any news of Nostradamus, maybe from Italy he took a ship to the orient, to Egypt and Persia where he begins to know the magic of Ancient Egypt and the Suphism . There is a book "Suphis from Iran", written by emir NOSRATEDDINE GHAFFARY, where is said that Nostradamus also lived in ISPHAHAN, capital of the Sofavides (in Persia). Is it said that there he got the initiation to the secrets of Avicenna to their spiritual techniques, to KHAYYAM's metaphisics and to Hermes TRISMEGISTUS , is said that there he learnt the secrets of the DRUGS that increased his innate prophetic capabilities. Much more sure, are his travels inside the territories beyond Rhin river, in actual Germany, and the meeting with the great master Agrippa von Nettesheim , (website) (1486-1533), german medical doctor, philosopher, astrologuer condemned as eretical because of his books De Occulta Philosophia (1510) and De incertitudine et Vanitate Scientiarum (1527). Agrippa, the great magician from Prague founded in 1506 the "Community of Magicians" with members in all Europe. Another great german that could had been personally known by Nostradamus is the mitical Iohannes FAUST , (Yes, that of the teatry pieces of Goethe and Marlowe), born in Knittlingen , in Wurttemberg (1480), died in Staufen (1540), near Baden. He made studies of theology and astronomy in Ingolstadt . Heir of an enormous fortune, it is said that he owned healing powers, and also the alchemical secret of the eternal youth. In the first act of FAUST, piece of theater by Johann W. von GOETHE , the author shows us this misterious character while is reading Nostradamus' Prophecies: "Go, escape ! Out to the vast world ! And this book plenty of mistery wrote by the own hand of Nostradamus is not enough guide ? to understand how a spirit talks with another spirit. So, it was a God that wrote these things ?" (Nostradamus talks about himself in a very simple way, describing himself as an humble sinner). maybe was written by our dear Nostradamus during a meditativen retire in a peaceful and serene place (after all this terrible disgraces !) as it is the ORVAL monastery " located between Belgium and Luxembourg. In opinion of abbot Tornè-Chavigny (first great interpreter of Nostradamus' prophecies), Olivarius monk should be anibody else than Nostradamus, and the mention of olives, could link him to his birthplace Provence and to Israel, the place of the remote origin of his ancestors. First Books by Nostradamus. Medical Doctor and Astronomer. In 1545 he wrote Interpretation des Hiéroglyphes de Horapollo 86 handwritten sheets authenticated, that after being in the library of COLBERT, minister of french king LOUIS XIV, were bought by THE ROYAL LIBARY and (until recently) were in the old National Bibliotheque de Paris (former location: MSF 2594), this is the only certified hanswritten of Nostradamus, actually available. In may 1546 a delegation coming from the town of Aix en Provence asked for his presence in the city, where it was raging a terrible PLAGUE epidemics, (Infectious disease caused by the bacterium Yersinia pestis that has as it's reservoir more than 200 species of rodents and vector insects like fleas). In a few hours thousands of persons got the illness, because also the small drops of cought (Pflugge's) expulsed by those with the pulmonary form, that remained in suspension in closed environments. In 2-12 days the patients went from complete good health to a terrible disease that showed with fever arriving to 72° Fahrenheit, with repeated agitated quivering, headache, delirium, vomit. In the place of the flea's bite (or entrance's wound), can be seen a vesicle that soon will enlarge to from a blister, after two days there will be swelling of lymphonodes that will merge to form a big bluish bubo ussually in the inguinal zone. The aching bubo Charbon will enlarge to the size of an egg. There is irregular fever. If the patient has a good immunity the bubo will open and leave a scar. If the person was unlucky he would had the bacteria going to the blood, the lungs or > brain, with a toxic state, bleeding, diarrhea, kidney disease, shock. Death from plague ussually happened in 6°-7° day. But, during epidemics there were several types of disease, fulminating with death in 3 days, or mild as an a common flu. In our age there is a vaccine, that covers for 6 months. As therapy for infected are available sulphamides, streptomycin, cloramphenicol (it reduces mortality to 5%). Aix town was plenty of corpses, abbandoned along the streets, leaking blood and pus, eaten by rats, that were bitten by fleas. In a general histery, ill and healthy commit suicide throwing themselves from windows or drowning in wells. Many women sew on herself their shroud, in order to prevent, when dying, of being left naked in the street and raped by any of many infected men plenty of madness. 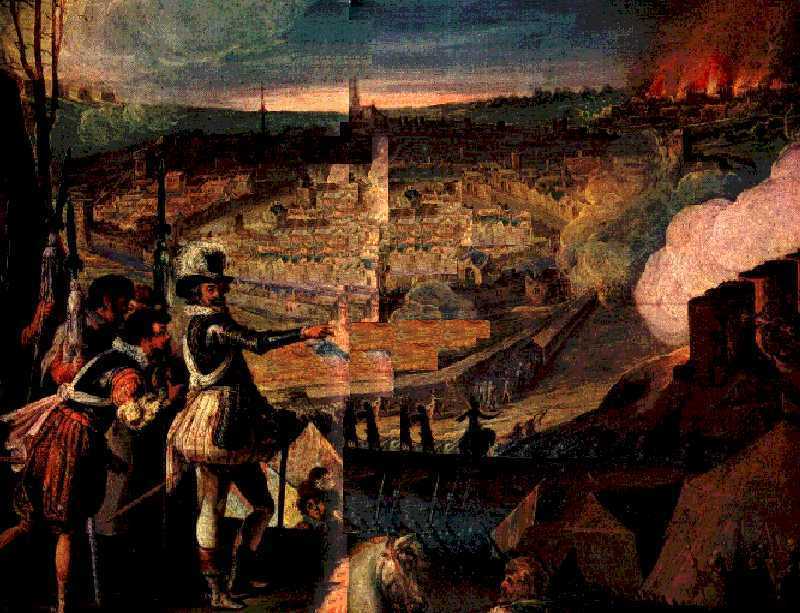 Nostradamus ordered to empty the streets, burn trash, to bury the corpses very deep between layers of quicklime. Orders disinfection of houses with winegar, boiled wine, boiling water. Advises to burn aromatic woods, to clean sewers. Orders extermination of rats with poisoned bait. Recommends the chewing of GARLIC cloves, (today scientist proved the antibacterial action of garlic), the use of gloves and filtrating masks made of leather. Nostradamus, clearly knows, to be one of those few lucky men, with a strong immunity towards plague, because he got it in a milder form in Tolouse. With cold blood he contempts death, walks in the streets and brings his lovely help everywhere, also in the houses of the terminally ill, while outside, in the street, is heard the terrifying bell of the Alarbes cart that is collecting corpses. cipress, aloe, amber, musk, carnation flowers, iris essence and roses . (Today it is known that many of the substances here mentioned are mild immunitary stimulators). After 9 months of terror, plague was overcame, and Nostradamus received a life fee. But his presence is immediatly requested in Lion, for another epidemic, that he will defeat with the same great success. In 1547 he goes to Salon for a suspected epidemics, but luckily is only a false allarm In this city of 4000 souls, lives his brother Bertrand, there he will put his home for the next 19 years, and will marry Anne Ponsarde and live until the end of his days. is surrounded by vast olive cultivations and vineyards, producing an excellent oil and wine. Today Nostradamus is remembered in streets and boulevards. In his home has been instaled a museum. Michel is 45 years old, and there he meets Anne Ponsarde, the rich widow of Jean Beaulme. beauties, but also because of his dowry (400 Fleurins) ! of that piece of mankind. Since that time he will live in Anne's home, 4 floors in Ferrey-Roux quarter. and lead his spirit to undergo his extraordinary travels in time and space. father JEAN, an that the latter had received these from secret groups, Templars ? loured cheeks. From his light gray eyes, a kind gaze assured his interlocutors. of iranian Suphi than of the usual Renaissance sage. and deep judgement of the persons he met, that expressed with subtle irony. time, yet because of their innate malice or only because intellectual lacking. placidly live, commerce and work between humble but clean and roomy homes. Provence's wooden shoes Sabot , their long black or red hair making volutes. (Is behaving in an very christian way, in order to prevent any further prosecution by Inquisition). 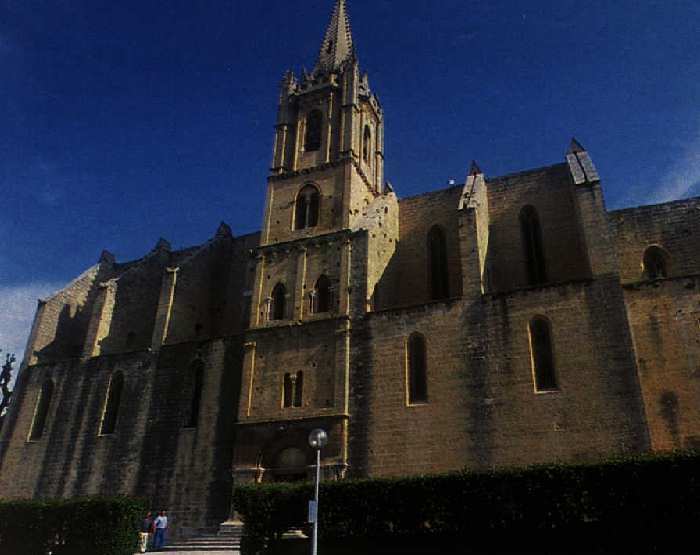 and Church, belonging to franciscan friars, where M.N. will be buried 19 years later. a commemorative plate for a fountain (1553). M. Nostradamus (give thanks) to the immortal gods in name of Salon habitants". In this times, he is not working more as a medical doctor, because esoterical studies absorb his time. In 1550 he began to pubblish his first ALMANACHS with anual previsions, that had an enormous success. (Copies of 1557 and 1563 are in Arbaud library in Aix-en-Provence). his sybarite and playful side, that all those sad circunstances had suffocated. In March 15° of 1555, he ended his long letter ad Cesarem Nostradamus Filium (That interpreters De Fontbrune (father and son) have deciphered and linked in a very convincing way to events like French Revolution [1792 is a clearly stressed date in this letter], to the Fisrt and Second World Wars, and to the menacing THIRD WORLD WAR, that could led to St. John's Apocalypse and to the glorious > return of Our Lord Jesus). quatrains left incomplete and never published during Nostradamus' life. a reference to Wall St. crisis (1929) and to exact time of nazist rule in Germany. with images of prophecies about Popes by abbot Joachim da FIORE, but with addintion of new images. would had become Pope with the name URBANUS VIII . his first daughter, that will receive an abundant dowry in 1566 testament. In 1555 was born César, that Nostradamus seems to prefer, is an historian, poet and painter. of the Chamber, decoration given by king LOUIS XIII Great friend of botanicic Peiresc. to the buildings, but was seen, captured and lynched by the angry mob (1576). in Piedmont. He traveled to Spain and Italy and died single. 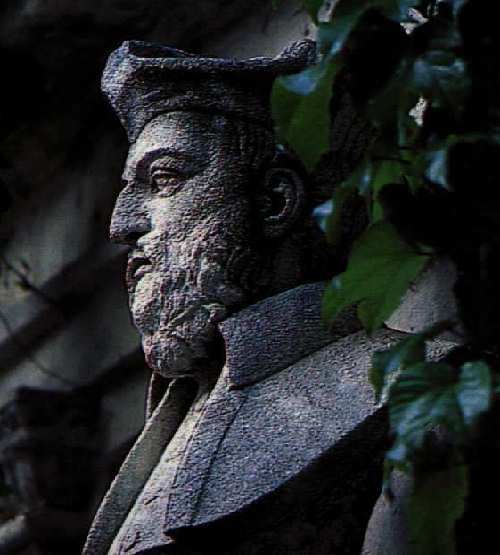 Andrè (1557-1601), plenty of mystical spirit, became cappuccine friar. (Henry did not esteemed much this court of astrologuers that surrounded his queen). he will receive the visits of Her Majesty and of the Royal Court. any knight's fighting in tournament. because of the risk of wounds to the head, with the risk of blindness and death. foretold the death of an unknown lion-symbolized knight after single combat wounds. Deux classes vne,puis mourir,mort cruelle. Two wounds in one, then will die, a cruel death. death after 11 days of atrocious agony, after the tournament wound received in date July 10th 1559, by the broken lance of Montgomery duke, that broke after a first impact against Henri's shield, bouncing and entering king's helmet (not in gold). A piece of the lance entered by an eye and get out from his ear: two wounds ! chance had unsadled him. So, king Henri asked for a second match, that would had < been the fatal one. Vielleville beg him to stop, because he and Blaise de Montluc had made the same distressing premonitive nightmare. Also queen Catherine, always anxious because of the horoscopes, beg him to di abbandon the match. After wounded, Henri didn't had immediatly a faint, but horserided to the the queen with a piece of lance inside head, face covered by blood, and shout "I'm dead", was helped to descend from horse, then fainted and was brought to palace. Seems that this fact was also "seen" by G. Cardano, by an hebrew astrologuer in Rome and as mentioned before by Luca GAURICO, that had left in royal registers an horoscope with this prediction. (Archives of France's Connestable managed by L'Aubespine). and that the accident was not at all by chance, maybe he was Catherine's lover ? But this tragedy was in 1559, we are still in 1556, and M.N. 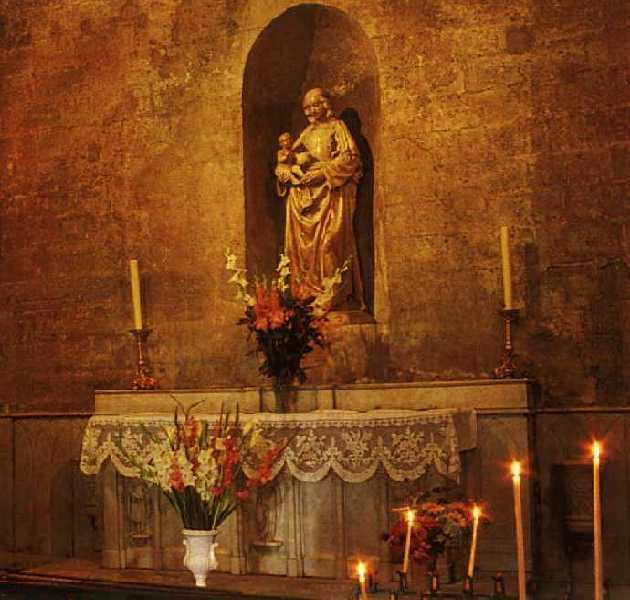 took a long travel, first back to Provence, then to Italy, exactly to Turin, where he left in 1566 a commemorative stone, in the mansion called Villa Vittoria, that then becamed Domus Morozzo.. maybe the misterious D.M. STONE of q.8.66 ? In this years Nostradamus began to suffer from continuous gout attacks, with pain in the back and pelvis, his body swells of lIquids (kidney disease ?). In 10 years < his disease would have taken him away from us. But, in Salon, he is greeted by kings from all Europe. In Salon's Emperi Castle he received the visit of King Emmanuel F. Savoy and of his Queen Margherite de France, terrorized but fascinated after Henri II death. They were reassured, when foretold that their descendance would rule Italy for many centuries. Between 1557 and 1561, appeared several false quatrains and libels from critics of Nostradamus Prophecies, between those we can remember the Contredicts by Monsieur de Pavillion, and the Declaration des Abus... by Laurente Videl. In 1560, is told of another legendary meeting of Nostradamus with Catherina de' Medici, in that years absolutly immersed in the occultism environment. They would had make a * magical experiment, with the misterious mirror "Kaptotron" that supposedly was made in Sweden, with only one sheet of a black monocline mineral (kaptoprite ? ), extracted in NORDMARK . Enrique Borbon de Navarra, son of Navarra's King Antonio Borbon and of Juana de Albret. ratory in her castle, but is distressed by the future of her sons. She is conforted by the visions in the black mirror, that shows all his sons in reign. died suddendly in a party, after only one year in reign (X.39: poisoned ?). that hosts Enrique, and sees "royal signs" in his child's naked sleeping body. Night" (1572). Henri III asked Henri IV to put an end to this wars between french. Maybe Nostradamus admires the person that will bring to an end the "religious wars"
in France with the signature of Nantes Edict. wih the right to a rich annual fee. Nostradamus escorted them to Arles. to contain many useful keys for the understanding and authentication of quatrains). Here it is the moment of the own death. responded to him with very weak voice: " Tou will not see more me in life at SUNRISE ". Trouvé tout mort pres du lict et du banc.